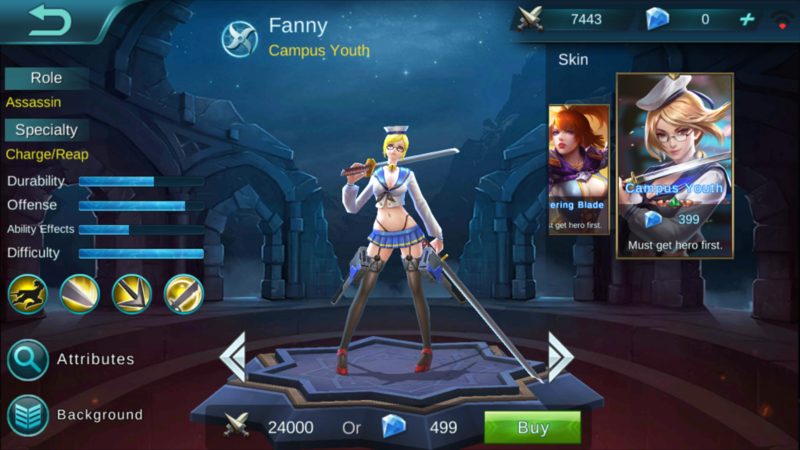 Fanny is a great assassin type with amazing damage but a tough difficulty curve. Throw everything she’s got at heroes but learn to use her before playing seriously. Description: Increases damage dealt to target while flying 10% to 20% according to flying speed and adds a Prey marker to the target which can stack up to 2 times. 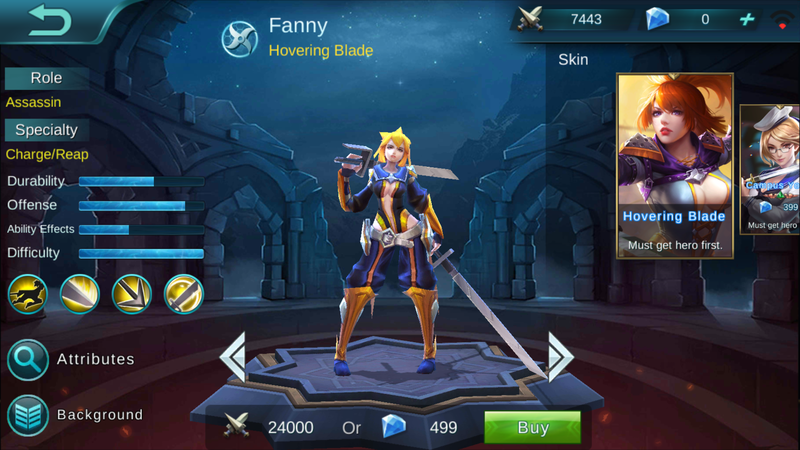 Killing a hero with a Prey marker will regen energy for Fanny, 10 pts per layer. Description: Throws out a cable that draws her to the first obstacle that it hits. Each successive use within 3s will decrease mana cost 1. If energy is sufficient, Tornado Strike will be triggered. 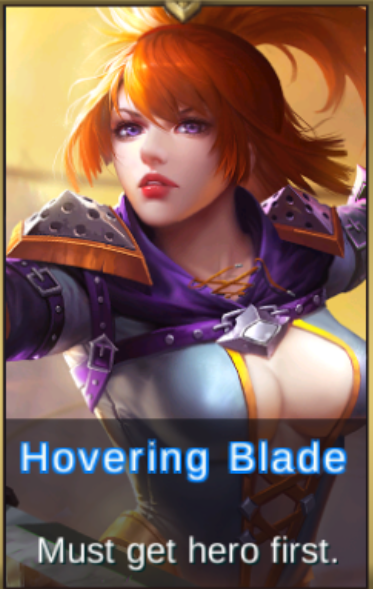 Description: Initiates an attack on an enemy, dealing 500 physical damage. If it hits an enemy with a Prey marker, damage will increase 20% per layer.